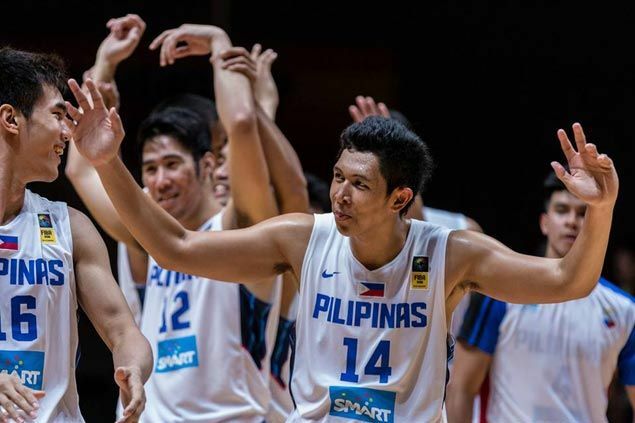 THE Philippines defeated Singapore, 82-56, on Friday night to rule the 11th Southeast Asian Basketball Association (Seaba) Championship at the OCBC Arena in Singapore. Marcus Douthit, seeing his first significant action in the tournament, had 16 points and seven rebounds as the Gilas cadets completed a perfect 5-0 win-loss run in the tournament. Kiefer Ravena added 15 points while Jiovani Jalalon finished with 12 points for the Philippines, which also clinched a return trip to the Fiba-Asia Championship in China as an added incentive. The Philippines dominated with an average winning margin of 68.4 points topped off by a 111-point drubbing of Brunei on Thursday. Following the Seaba conquest, the Gilas cadets will see action in the Southeast Asian Games in June, also in Singapore. Philippines (82) — Douthit 16, Ravena 15, Jalalon 12, Escoto 9, Parks 8, Ferrer 7, Belo 4, Rosario 4, Vosotros 2, Torres 2, Khobuntin 2, Thompson 1. Singapore (56) — W.Wong 17, Q. Wu 16, H. Liew 10, H. Ng 8, W. Oh 3, W. Low 2, Q. Toh 0, W. Kwek 0, Y. Khaw 0, K. Goh 0.